Here is my list of the best accessible restaurants in Tokyo divided by type of cuisine. I've checked them all personally I can assure you that they're excellent and also comfortable with foreign guests. Here, I've chosen the best accessible restaurants in Tokyo. They're all located in areas you're likely to visit (ie, the main urban hubs). Sure, there are better restaurants in Tokyo, but they're not accessible (ie, they're inconveniently located, crushingly expensive or difficult for "foreigners to enter"). The restaurants listed here are places you can actually go to and enjoy, most without any reservations. For information about Tokyo specialties, restaurant costs and where to find the best restaurants, see my What and Where to Eat in Tokyo page. There are also plenty of great vegetarian restaurants and vegan restaurants in Tokyo too. If you want an even more adventurous eating experience where you mingle with Tokyo locals, see our selection of places to eat on the Eat Like A Local In Tokyo page. Spicy noodles just around the corner from Kanda Station. Wickedly good ramen and tsukemen (noodles on the side ramen) in West Shinjuku. Absurdly popular tsukemen (noodles on the side ramen) right in Tokyo Station (if this is full, try one nearby – there are plenty). Tasty ramen served in "private" booths in Shibuya. Excellent shoyu (soy sauce-based soup) ramen on the edge of Ginza. A great place to taste some sake from northern Japan along with some great yakitori – right inside Tokyo Station. Artisanal soba in the heart of Roppongi. A must for soba fans! Excellent soba in traditional surroundings not far from the center of Akihabara. Delicious soba in a superb elegant "Old Japan" restaurant. Very popular traditional soba restaurant not far from Senso-ji Temple in Asakusa. Tasty and filling udon noodles to fuel an Akihabara outing. A temple to pork cutlets in Meguro. A classic tonkatsu place in the heart of "Akiba." Super approachable and delicious tonkatsu in Ginza. Too famous, too popular but still delicious. It's worth the trip to sample the brilliant yakitori here in Nakameguro. Perhaps a bit overrated, but still tasty, this Tokyo Station yakitori-ya is a good place to get acquainted with yakitori. One stop north of Ueno on the Yamanote Line, this is the place to discover the possibilities of tofu. One of Tokyo's most popular and best vegetarian restaurants. Mouth-watering Nagoya-style unagi in Ginza (not far from Tokyo Station). A great place to sample unagi while in Ueno. There are plenty of other dishes as well. High-end tempura that's worth the splurge. Reasonably priced and approachable tempura in the heart of East Shinjuku. Convenient and tasty tempura in the Takashimaya Times Square complex Shinjuku. Artistic Japanese-French fusion that lives up to the hype. 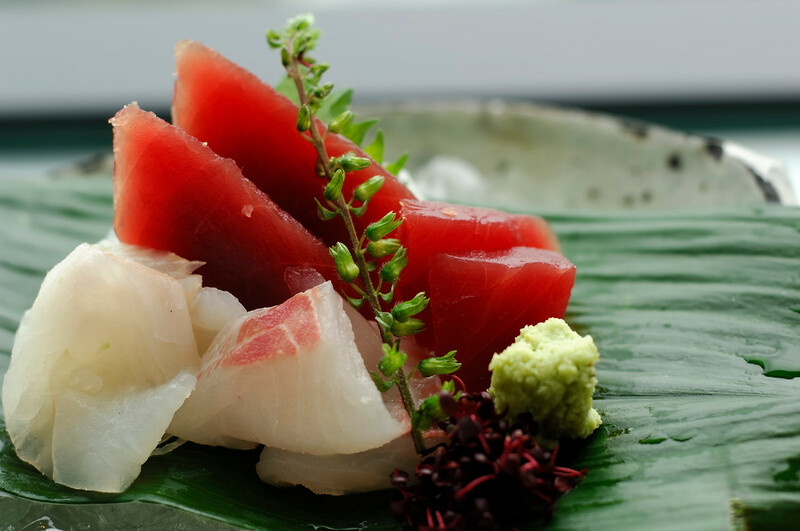 Elegant and refined Japanese twists on European haute cuisine. Each dish is a work of art here. Brilliant Kyoto-style kaiseki. This is traditional kaiseki served the right way. Highly recommended. Need More Tokyo Restaurant Picks? For more restaurant picks, including lots of high-end restaurants, visit our Tokyo Michelin Restaurant Map page. Be sure to check out my personal recommendations of the best places to eat in Osaka on InsideOsaka.com, my companion website to Truly Tokyo. See my favorite Kyoto restaurants on InsideKyoto.com, my comprehensive guide to Kyoto.